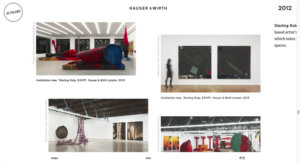 Hauser & Wirth was founded in 1992 in Zurich. A family business with a global outlook, Hauser & Wirth has expanded over the past 25 years to include outposts in London, New York, Somerset, Los Angeles and Gstaad. We designed and developed Hauser & Wirth’s 25th anniversary website as a dual timeline spanning 1000 photos and videos and over 200 stories, from 1992 until today. 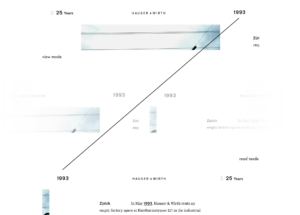 Our design presents text and media content as a side-by-side layout, allowing the audience to alternate between the two at any point in the timeline. 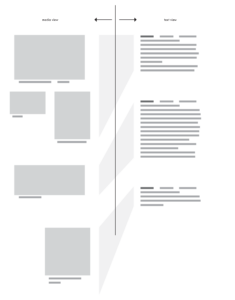 The design successfully pairs two typefaces within the story: Transport for emphasis and headings and Nimrod for everything else. Nimrod appears frequently in Hauser & Wirth’s print materials and the gallery’s logotype is set in Transport.